High quality metallic DECO inlet for ducted vacuum system. Lifetime warranty*. Easily adjustable and suitable for all mounting plates. 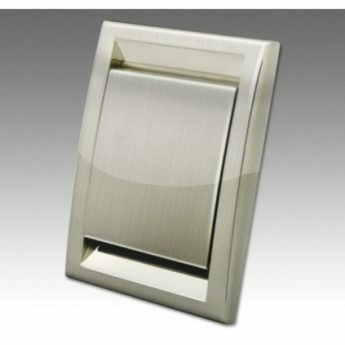 This DECO inlet is available in a wide array of finishes and colors: chrome, stainless steel, antique copper, gold and black nickel. They fit any standard installation. A designer look, of undeniable quality, at a reasonable price.